Nerdy Pup Games – Little Games. Big Fun. 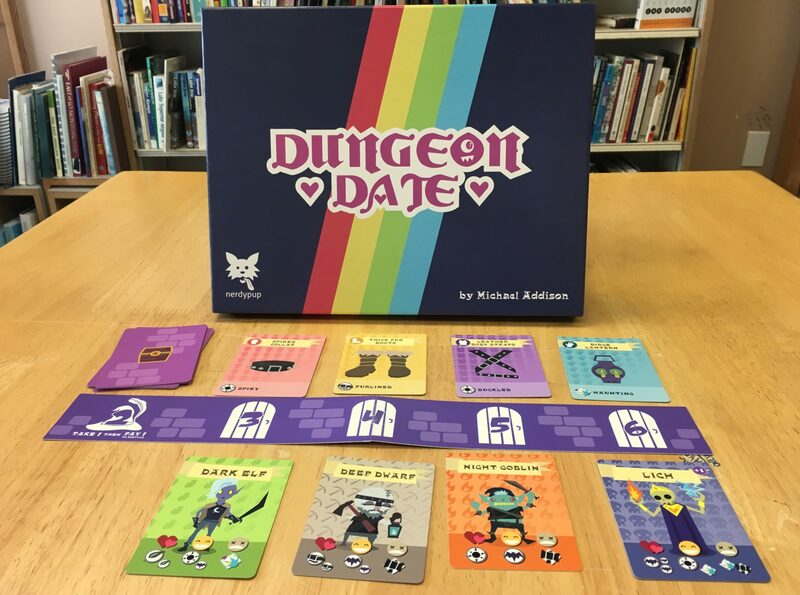 Romance an owlbear, befriend a gelatinous cube, slay your friend’s orc boyfriend! A backstabby card game for 2-4 players, featuring simultaneous action selection, simple but meaningful choices, and healthy dose of treachery! Coming to Kickstarter in 2019! My name is Mike Addison and I design games! Board games and tabletop rpgs are my passion. I believe a good game should be easy to learn, challenging to play, and engaging for players, not just with the game but with each other, start to finish. It’s my goal to make games that invite new players to the hobby and represent and include the diversity of people that play games.